BIBLE STUDY FOR TODAY: PSALMS CHAPTER 2: verse 1-12. Now is time to let go, and let the vengeance of Jehovah Consume the rage of the enemy. You can only confront the enemy’s madness with a superior wrath of God. Hell is let loose and kingdom of satan trembles at the chains of captivity that has begun to B-R-E-A-K! We have an antidote to their rage. After the praise and worship session, let holy anger well-up in you and and release it in battle against every frustrating power that wants to see you fail and humiliated during this battle of the gate. Take these 12 prayer points for DAY 6. Pray it at midnight and midday. Pray without ceasing, pray until something explosive happen to catapult you to your desired haven!!! Couple it with a 12-hour fast (12 midnight to 12 noon), you can go further till 6pm if you have the grace, all I know by the assurance of faith in the awesome power of God that never faileth, He will answer us by Fire!!! in the name of Jesus. God bless you as you read the scriptures, confess the word of God and pray in Jesus’ name. Rage of dark powers targeted at my destiny at the gate of this year 2012: BACK-FIRE!!! in the name of Jesus. Raging chains of my captivity: B-R-E-A-K A-S-U-N-D-E-R!!! BY FIRE!!! in the name of Jesus. Rulers of darkness ganging up against my favour and against my peace in this year 2012: PERISH BY FIRE!!! in the name of Jesus. Rage of failure against my successes this year 2012: GO BACK AND CONSUME YOUR SENDERS!!! in the name of Jesus. (Sisters, something is going to happen to you who have been called barren as you pray this strange prayer with holy madness. The Holy Ghost shall overshadow you and change your story to glory) Rage of bareness against my fruitful conception and glorious delivery: I B-R-E-A-K you to p-i-e-c-e-s with the rod of iron: S-C-A-T-T-E-R!!! in the name of Jesus. 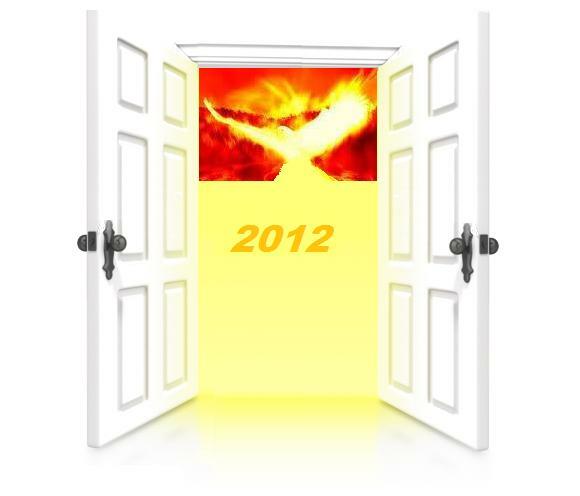 Witchcraft fury rising against my glory and my testimonies this year 2012: TURN AGAINST and DEVOUR your senders!!! in the name of Jesus. Every power assigned to mock me this year 2012: I release you into the sore displeasure of God, Be CONSUMED by the wrath of Jehovah!!! in the name of Jesus. It is written (Exodus 15:7) “In the greatness of your majesty, you overthrow those who rise against you. You unleash your blazing fury; it consumes them like straw.” (Psalm 78:49) “He unleashed against them his hot anger, his wrath, indignation and hostility–a band of destroying angels” therefore, by the greatness of Your Majesty, O God Arise and overthrow every problem that followed me into this 21-day battle of the gate and in Your hot anger, let Your wasting angels destroy them without escape!!! in the name of Jesus. Raging and fiery furnace of afflictions prepared for me by the strongman of year 2012: devour your owner NOW!!! in the name of Jesus. It is written (Proverbs 16:13) “Kings take pleasure in honest lips; they value a man who speaks the truth.” therefore, O God Arise and baptize my mouth and my tongue this year with Your Holy Ghost Fire! let every perversion and iniquity be purged out of my life and catapult me from the cesspit of lies and deception to the palace of righteousness!!! in the name of Jesus. It is written (Proverbs 16:14) “The wrath of a king is as messengers of death: but a wise man will pacify it.” therefore, let the wrath of God KILL my ignorance and my folly!!! in the name of Jesus. It is written (Proverbs 19:12) “A king’s rage is like the roar of a lion, but his favor is like dew on the grass.” therefore, let the rage of Divinity ROAR AGAINST AND DEVOUR every infirmity in my life!!! in the name of Jesus. By faith, lift up your hands and begin to thank God for revival of your prayer life and your testimonies. Appreciate God for the awesome and defiant answers in righteousness which He granted to your 12 petitions in this Day 6 session of the battle of the gate, in the name of Jesus. 8 Comments on "Day 6: Battle Of The GATE 2012 Prayer Points"
Thank You, Thank you Jesus for giving us victory over the rulers and powers of darkness and making this day’s prayers happen in Jesus name. If you are for us and the 21 day Battle of the Gate prayer programme Lord who can be against us. You are an awesome God, the GREAT I AM, Our Dwelling place, Our Refuge and Fortress, our strong defense and our ever present Help in Times of trouble. All praise, glory and honour to you our saviour, deliverer, redeemer and friend. Halleluyah!!! Jesus is Lord. hallellujah, hallellujah, we shall overcome satan’s power, hallellujah, hallellujah, we shall overcome satan, power. Praise the Lord saints, this is the time to fight never like before in Jesus’ name, the enemy is on rampage(last kicks of a dying horse). The Lord showed it all to me in a dream. The enemy vowed to go down with us in his last days, he’s shouting on top of his voice saying he has lost but he will go down with some of God’s people. We all know that we are on the winning side, let’s not be afraid of the enemy’s threats, its time to HAMMER HIM HARD these remaining 14days of the battle of the gate(2012). Hallelujah to our Lord God Almighty !! These prayers are blessing my life.Thanks be to God. where can I buy the prayer rain in Kenya. Praise Jesus Patrica, You will get Dr Olukoya’s books either from Winners Chapel, Scripture Union Book Shop and at the bookshop on Moi Avenue near Railways that is to name afew that i know in Nairobi. God Bless you and Keep you. Praise God Carole, Thanks for the info. God bless you and increase your territories.